Click on an image to see a larger version, or download a pdf version where available. 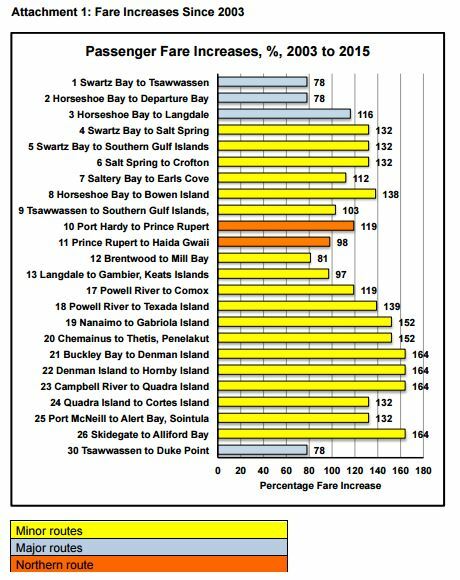 Raw data is from BC Ferries unless otherwise indicated. 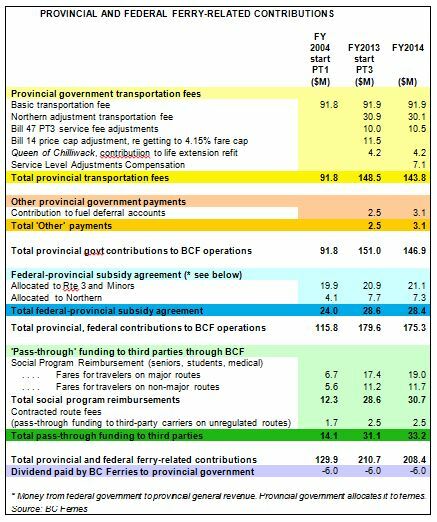 Fiscal 2015 compared to Fiscal 2014.
Who pays for coastal ferry services? 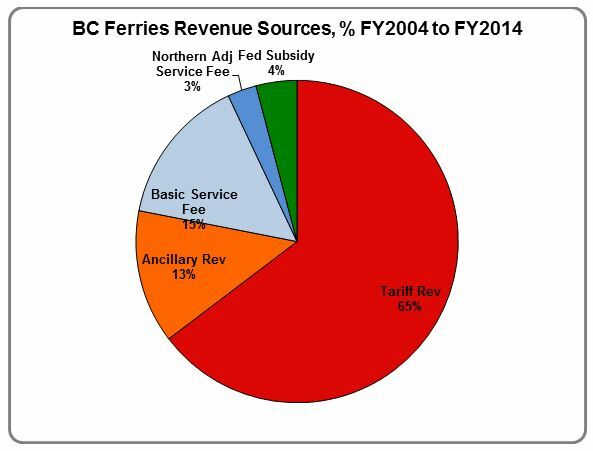 BC Ferries cumulative revenues since the start of the new ferry structure in 2003. 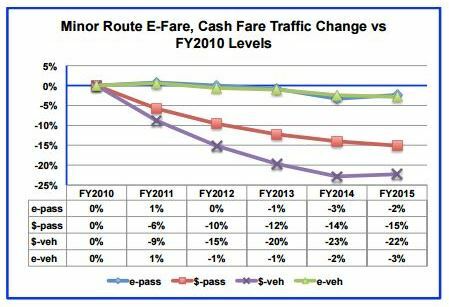 Over-height fare premium removed in FY2011, resulting in 40% fare reductions for over-height vehicles and resultant traffic growth. 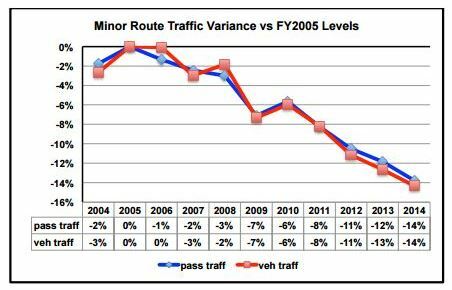 Traffic will respond at the right price point. 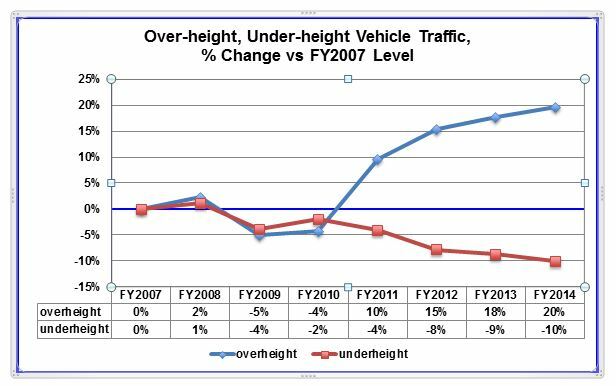 Note the comparison to what a modest 1% traffic increase would have been. 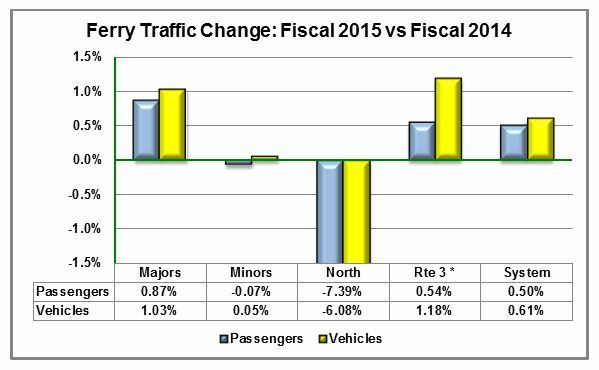 Vehicle traffic suffered similar declines. 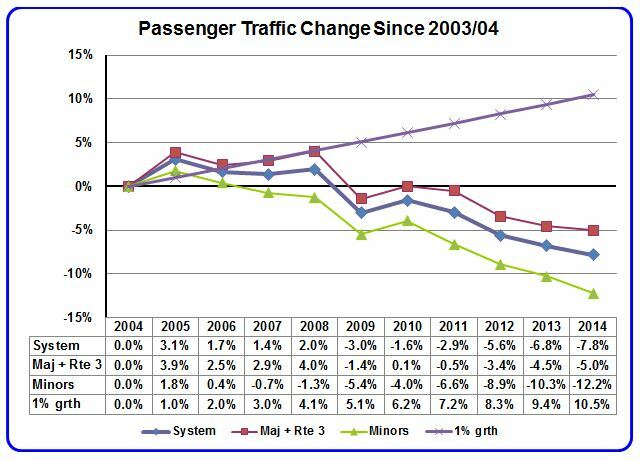 Northern routes experienced a 31% decline.